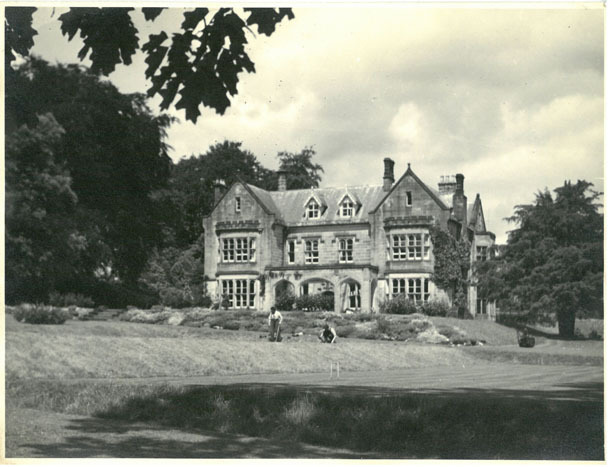 Many of you will remember the days of Birdsgrove House – a building gifted to the charity (known then as the Benevolent Fund) by the Royal Pharmaceutical Society of GB (RPS) back in 1946. During the war the RPS relocated some of its staff and operations out of London to the Derbyshire countryside, but following the end of the war no longer needed the property for this purpose. Instead it became a place of recuperation and was run by the charity as a convalescent home. Nestled on the edge of the Peak District National Park, with views of the rolling countryside Birdsgrove House was the perfect location, away from the hustle and bustle of life and demands of work. Here pharmacists could rest up in the property’s tranquil surroundings following an illness or surgery. In later years however, demand for convalescence facilities steadily declined and additional sources of revenue were explored. Eventually, in 2006 with the property falling into disrepair and renovation costs escalating the decision was taken to sell Birdsgrove House and re-invest the proceeds back into the charity. Despite the loss of the home, the charity continues to provide assistance, where needed, to those in the profession seeking support following an illness, or facing debilitating conditions. In some cases the charity will provide holiday grants for the individual and their families (usually carers) in much need of a break from their everyday surroundings. For further information on the financial assistance the charity is able to provide, click here.